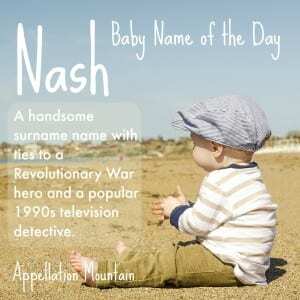 Nash is a surname name that’s become a modern favorite. Thanks to Chelsey for bringing up this name in her #namehelp post. This is a nature name in disguise. 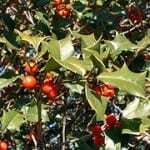 In Middle English, the phrase atten ash meant “at the ash tree,” and so it became a place name and eventually a surname, too. Back in the 1700s, Francis Nash was a army general during the American Revolution. He died after being wounded during the Battle of Germantown. Plenty of places are name in his honor – more on that later. Kenosha, Wisconsin was home to an automobile manufacturer by the name. Their first vehicles were produced in 1916, and it stayed in operations for more than five decades. They’re mostly forgotten now, but they were innovators in their day. Among other things, they introduced the first seatbelts. Early twentieth century Tennessee outdoorsman, conservationist, and writer Theophilus Nash Buckingham. He preferred to be known by his middle name. American Hall of Fame jockey, Nash Turner. If you’ve seen A Beautiful Mind, you might know the story of John Nash, a brilliant mathematician who grappled with mental illness. Russell Crowe was nominated for an Oscar for the role. 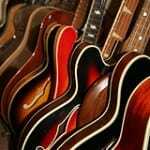 Musician Graham Nash, the N in CSN&Y, along with David Crosby, Stephen Stills, and Neil Young. Don Johnson rocketed to stardom playing a television detective on Miami Vice in the 1980s. In 1996, he returned to the small screen as an inspector with the San Francisco Police Department’s Special Investigations Unit. This time, Johnson was Nash Bridges, a role he’d play for six seasons. There’s no question that the show was the catalyst for the name’s success. Since then, other fictional characters have answered to the name, including a character on One Life to Live. Remember that town named for Francis? It’s still going strong, and since it’s the capital of country music, it lends this name a certain Southern twang. The name has a fierce quality, too. Add a silent ‘g’ and you have gnash – as in the angry grinding of teeth. The city’s ice hockey team is known as the Predators. Their mascot is a saber-tooth tiger called – what else? – Gnash. The mascot has been around since the team’s 1998 founding, which is also the height of the television series’ success. The name saw steady, sparing use through the twentieth century, until Don Johnson’s return to the small screen boosted it from obscurity. There were 55 boys named Nash in 1995. Then the show debuted. In 1996, there were double the number of births – 110. By 1998, there were 204. The name plateaued, but rose again slightly in 2005. Could that be thanks to the NBA’s Steve Nash? He was an eight-time NBA All-Star and twice the league’s MVP. In 2005, he led the Phoenix Suns to the Western Conference Finals. It could be just enough to encourage parents to embrace the name. Of course, it also sounds like Cash, a fast-rising name in the same era. 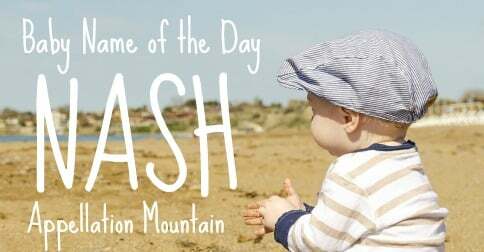 And we’re in love with short names for boys at the moment. 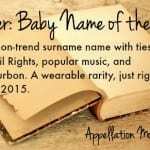 In 2014, there were nearly 900 newborns with the name, enough to put Nash at #364 in the US. What do you think of Nash? Would you consider it for a son? 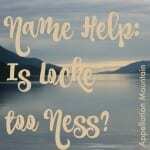 Name Help: Is Locke too Ness? My son is named Nashville Tucker. He’s 11 years old now and his name suits him perfectly. We were in Nashville when we found out we were expecting our surprise fifth and final baby. We decided on the first name Nashville ~ nickname Nash ~ before we even left town! Tucker was to honor my husband’s maternal grandparents. As a Yankee, I’d never considered where Nashville got its name. Wow, I love this name so much more. It’s definitely a niche crowd but there is also Kevin Nash who has been a huge name in professional wrestling since the 1980’s. I love Nash as a direct result of Don Johnson as Nash Bridges! Have never met one in real life.